If you have no brow hair, consider an artistic approach Microblading, which originated in Asia, is perfect for women with thin or thinning brows, discoloration and especially for those that have gone through chemotherapy. 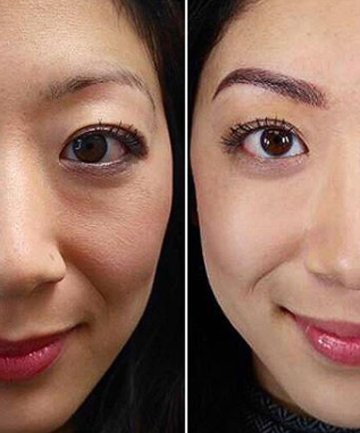 "No hair is removed, save for minor trimming, and the technique only enhances the eyebrow shape, thickness and color desired," says Cindy Choe, brow specialist and owner of Cindy Choe Studio in Beverly Hills. "Thicker, dark sumptuous brows can be achieved without the hassle of pencils and a drawer full of powders." The method uses thousands of dots of custom blended, hypoallergenic pigment to cover up what's left (if any) of your old brows. "Those with oily skin especially love this service, as makeup tends to wear off on them more quickly," adds Choe.